Just returned from wonderful experience at TöNE Festival in Chatham Kent. A new festival of sound and light curated by Claudia Molitor and Julie Louise Bacon and I was privileged to be showing work amongst many great artists. 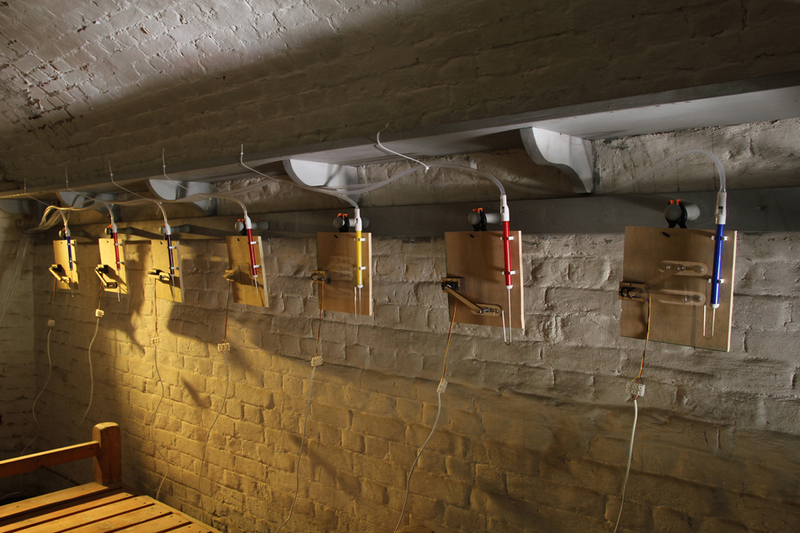 I made a series of works called ‘Twittering Machines’. The Gun wharf at Chatham Historic docks and Fort Amherst were the locations that provided the inspiration. 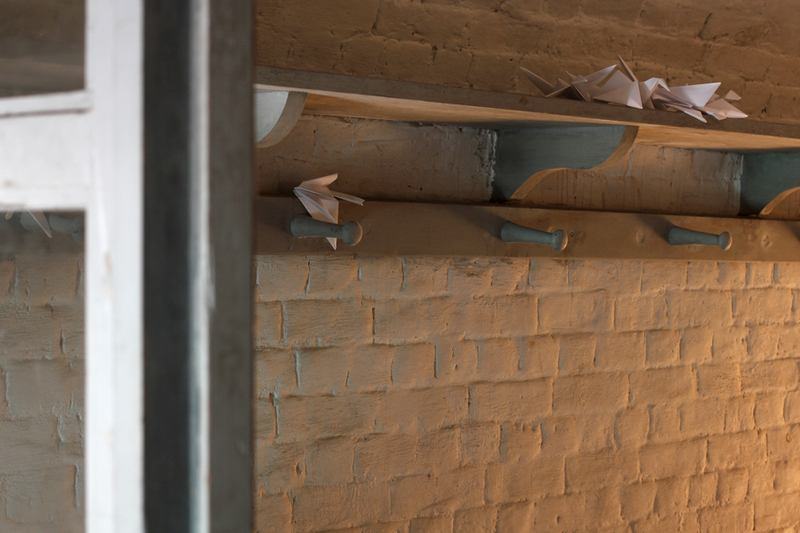 I responded to the tensions created between the relics of past wars, the presence of migrating birds who take up temporary residence along the Medway Estuary, and the local woodland population of nightingales. 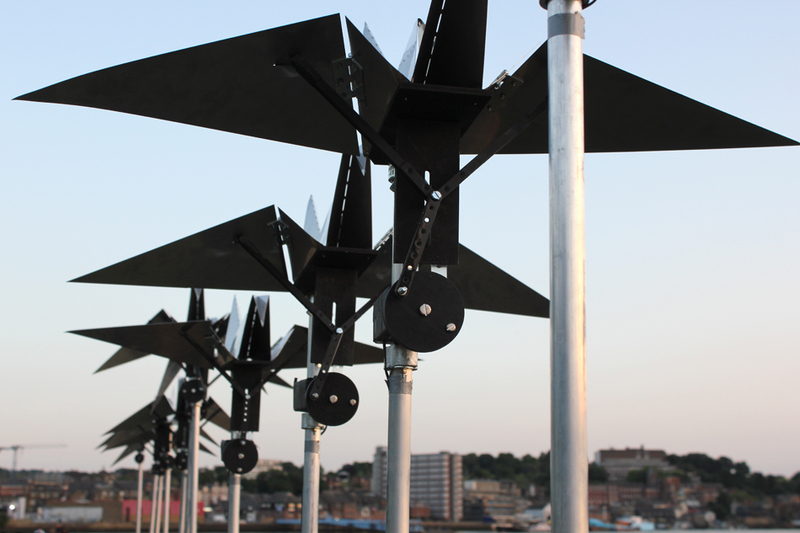 Twittering Machines, Part 1, was sited along the Gunwharf, and consisted of a flock of mechanically driven stainless steel birds flying out of Chatham along the estuary wall infront of a row of wartime canons. 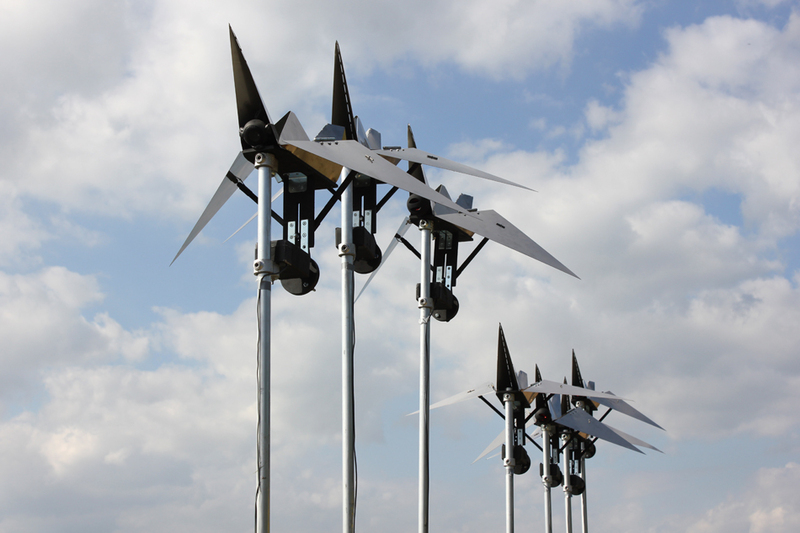 Their steady metallic motion, reminiscent of wartime flying machines, contrasts with their physical resemblance to paper origami birds, traditionally seen as a symbol of peace. 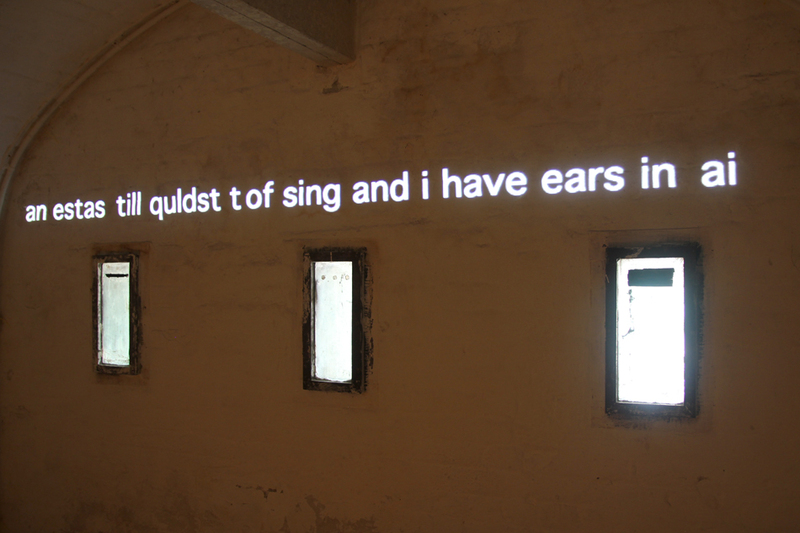 Their morse code chirps decode into a series of haiku composed by Rochester based writer Colin Braddock. 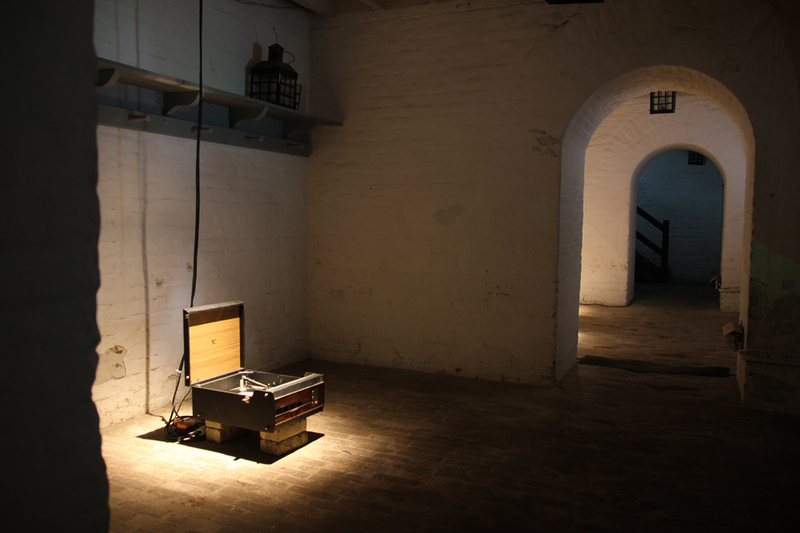 Twittering Machines, Part 2 was a series of installations to be experienced by walking through the old Gate House of Fort Amherst – a very inspiring setting. A sonic and visual combination of bird-song imitation, morse code poetry, recordings of nightingales and cellos, and the distant echo of Lancaster bombers. Ninety years ago Beatrice Harrison regularly played her cello at dusk, dueting with Nightingales in her Oxted Garden just 35 miles away from Chatham. 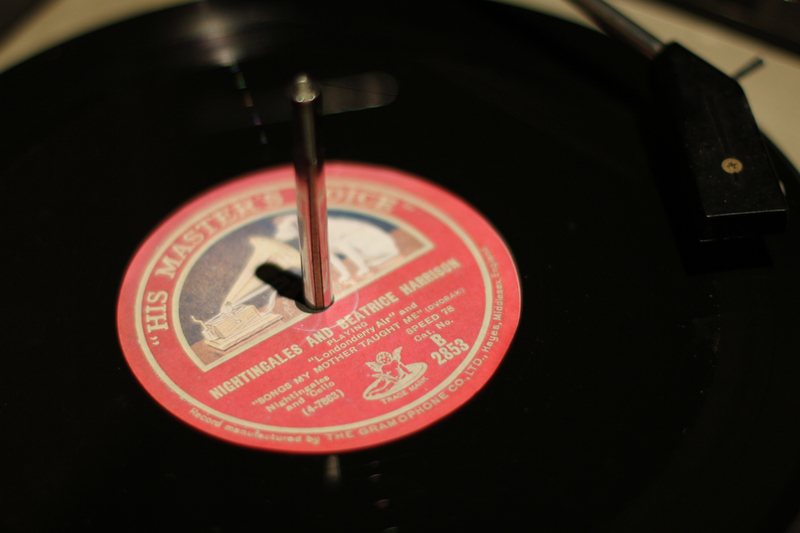 This performance was broadcast live by the BBC in 1924 to a rapt audience, and sold as a 78rpm shellac record. 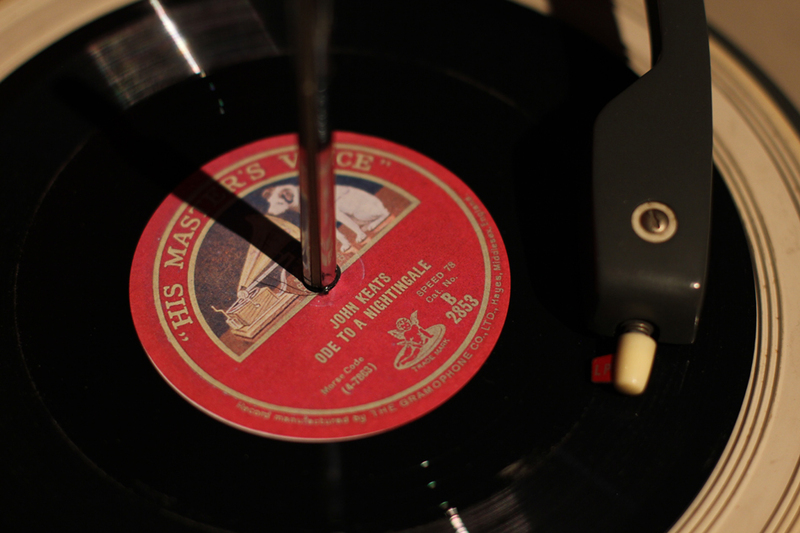 This recording plays on a dubplate cut at Bristol’s Dub Studio. Nightingales are becoming more endangered as landscapes change and their song is less likely to be heard with a population drop of 91% in the last 40 years, although Kent has one of the largest populations of Nightingales still surviving in the UK. Two dubplates of a morsecode translation of John Keats’ ‘Ode to a Nightingale’ play at different rpms. 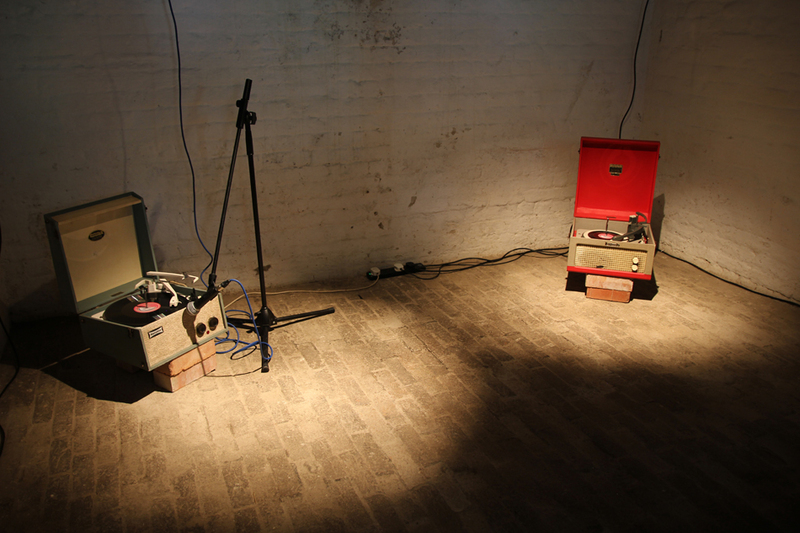 A microphone is set up on one record so a computer can listen and decipher the morse live into a text projection via a MaxMSP patch programmed by Matthew Olden. Extraneous sounds in the room detected by the microphone interfere with this translation, intermittently interrupting the Keats poem. There is a rumour that the 1924 Cello and Nightingale broadcast actually featured the whistling of a local bird imitator Maude Gould, because the setting up of all the BBC recording equipment scared the real nightingales away… purely a rumour though. 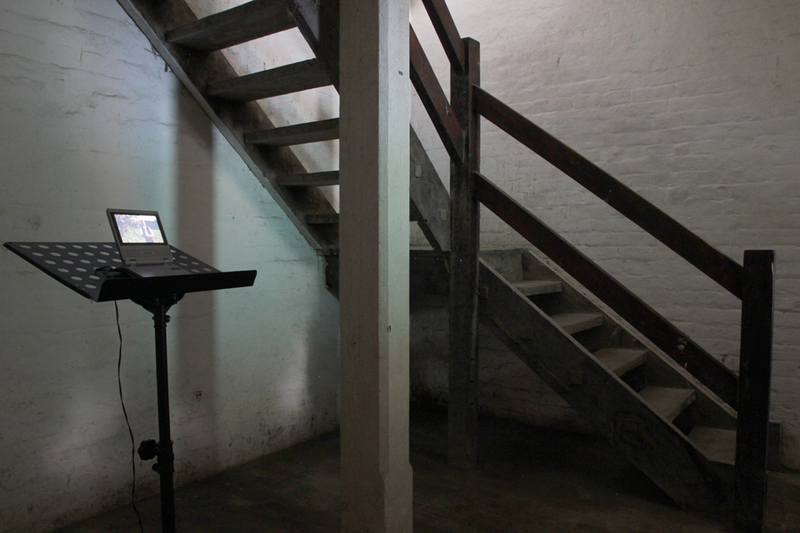 A DVD of talented Bavarian bird-imitator Helmut Wolfertstetter plays at the bottom of the stairs. This film was made whilst on residency at Villa Waldberta on Lake Starnberg. Following the first cello with nightingale broadcast, the BBC annually broadcast nightingales for one evening in May, until 1942, during World War II, when the sound of Lancaster Bombers filtering into the broadcast, and it was aborted to due to security risks. The annual nightingale broadcast was abandoned until this year, 2014, when it was revived, and happen just 5 miles away from Chatham. 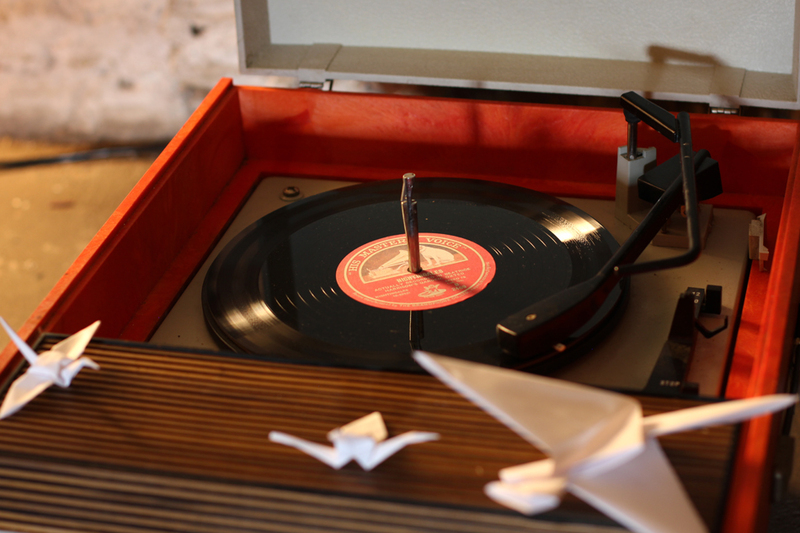 A dubplate of the nightingales with Lancaster Bombers plays in an upstairs room with a scattering of origami birds that were created in workshops leading up to Töne festival. The simple folded paper bird has become known as a symbol of peace and 1000 birds grants a wish following an ancient Japanese myth. 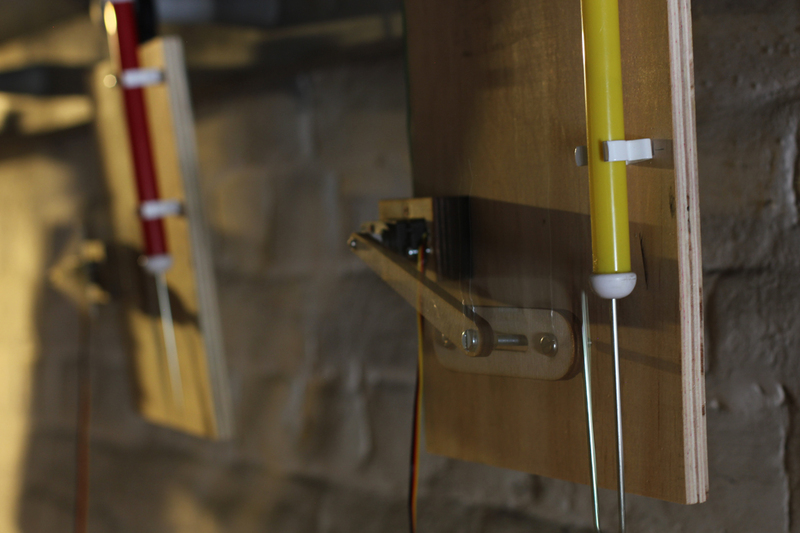 The final room, which has been audible throughout the journey, is a bird imitation machine constructed from toy swanee whistles and servo motors. The motors constantly twitch and jerk at the swannee whistle whilst a custom pipe-organ windchest sends sporadic short blasts of air. Humankind maintains an ongoing fascination with attempts to decipher, understand and categorise birdsong. 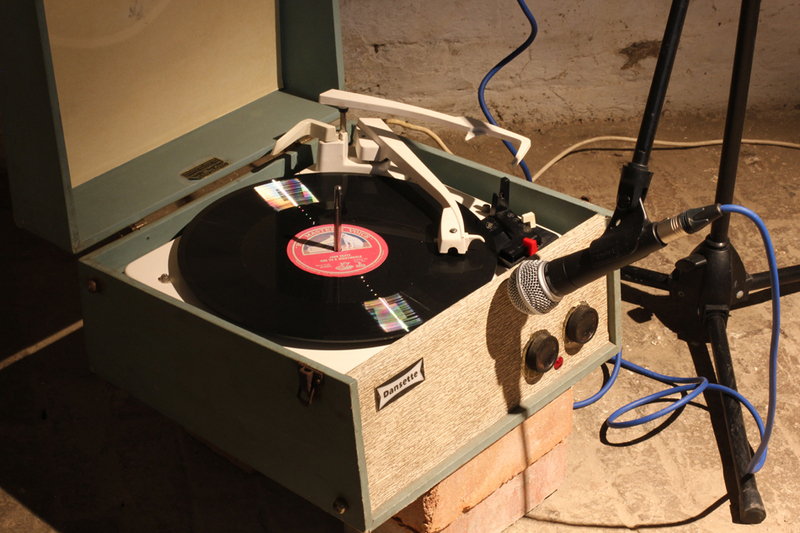 The use of old wartime communication devices with bird-imitation and musical automata explores this. 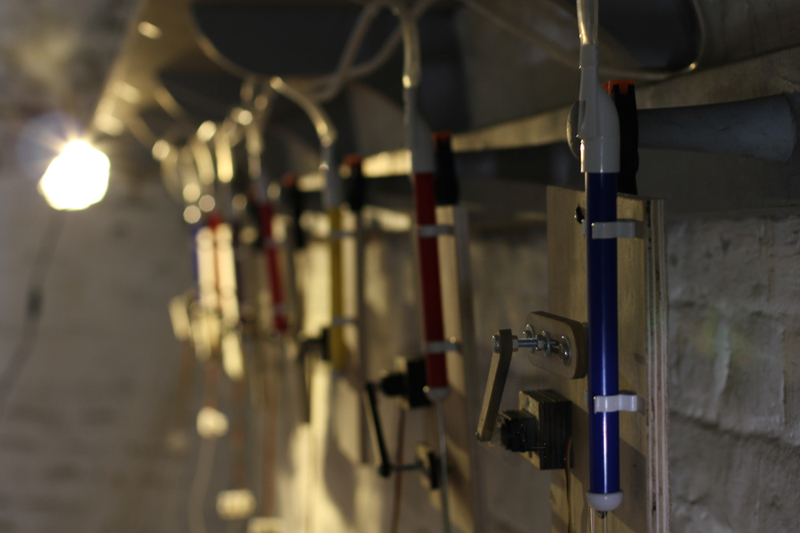 here is a short taster video of the Swanee whistle twittering machine – with a longer movie showing the whole installation to follow. In my spring garden In my spring garden, Cellist and nightingale play Two songs in one voice. 1942 Bombers overhead Drown out a bird’s gentle song, Then all is silent. But peace and freedom are found In England’s Garden. Spring As bitter snows thaw, A sweet high-low song begins, And my smile returns. Sadaka Denied by her gods, Six hundred and forty-four White birds mourn for her. Origami A flat snow-white field Turns, folds, turns and folds again, And a bird takes flight. 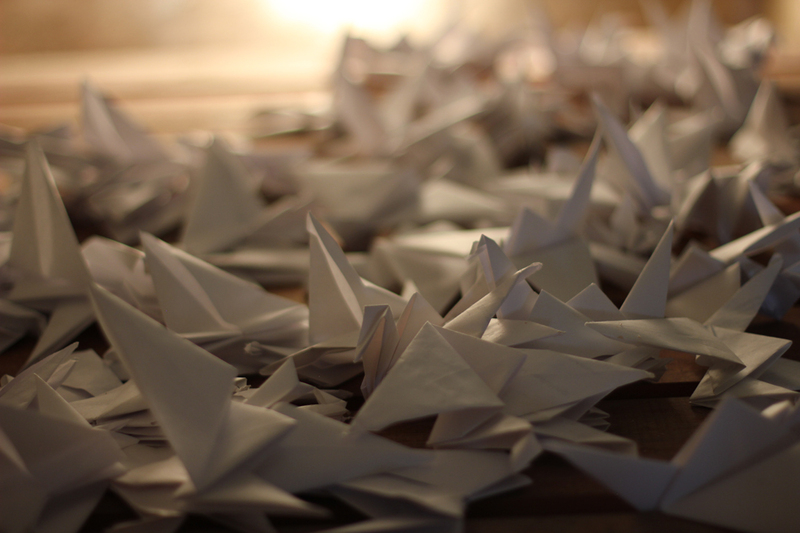 Zen Paper cranes lie still, But as winds bear them aloft, One bird lines a nest! 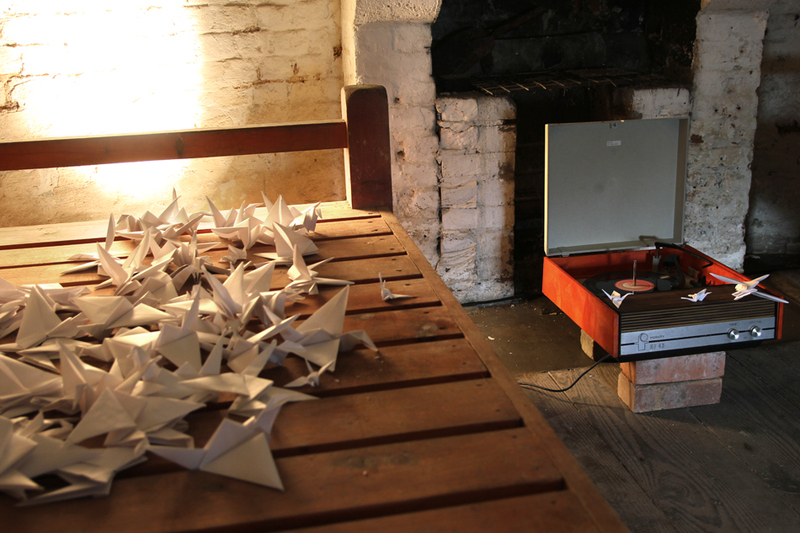 24 June, 2014 | Filed under News and tagged with audio-visual, birds, festival, installation, kinetic sculpture, origami, site-specific, sound-machine.